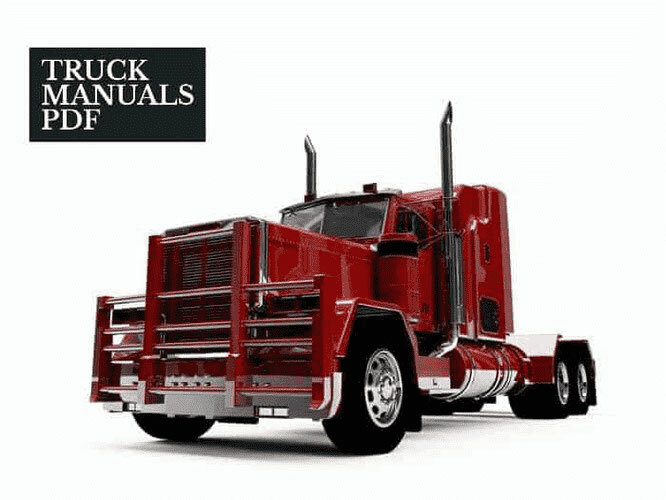 Some VW Truck Manuals PDF are above the the page. The history of the automobile concern begins May 26, 1938, when a significant event took place in the town of Fallersleben. Adolf Hitler arrived at the solemn ceremony of laying the foundation stone for a new automobile plant for the mass production of simple and cheap cars accessible to the common man and called Volkswagen, abbreviated as VW. On September 16 of the same year, Volkswagen GmbH was established in Fallersleben, which soon switched to manufacturing light army vehicles. It was on their chassis that in 1945 the first wagons appeared. Immediately after the end of the Second World War, after setting up a mass production of cars "Volkswagen", the firm took up the development of the second "People's Car". The idea was initiated by the new CEO Heinrich Nordhoff, the holder of the cross "For Military Merit", a former member of the board of the company Opel. According to the design of the designer Alfred Haesner, it should be an equally simple and light truck of universal purpose, inheriting the basic design solutions of its passenger predecessor: a rear opposed four-cylinder air-cooled engine, bearing a stamped base and independent suspension of all wheels. As a basis for the design was taken sketch of the Dutch car dealer Ben Ron. The concept of the car was developed in 1947, and the first car-van was assembled on March 11, 1949. It was a "stubborn" wagon with a wheelbase of 2400 mm. 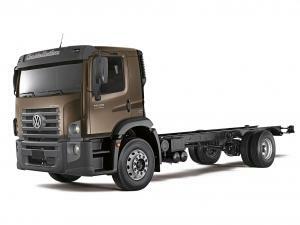 and a length of 4.3 m, capable of transporting 700-830 kg. cargo and weighed a little over 1000 kilograms. A cargo space with a capacity of 2 m3 was located on top of the compartment with a power unit consisting of an opposing motor (1131 cm3, 25 hp), dry 1-disc clutch and 4-step synchronized gearbox. In total, 1.8 million machines of the first series were manufactured. In addition, in the sixties the wagons were manufactured on the basis of Volkswagen-1500 and 1600 cars. At the end of 1967, the second generation of the "Transporter", which received the "T2" index, was introduced. It was designed by the designer Gustav Mayer, better known as Gustav-Transporter. Retaining the design features of the firstborn, he made his appearance more attractive, used new opposing motors (1584, 1679, 1795, 1970 cm3, 47-70 hp), reinforced rear suspension and 2-circuit braking system. In 1978, the first full-drive variant appeared. In 1971, the plant in Hanover was expanded and the next year there were collected 294,932 cars. At the time of production of the "T2" series, the release of jubilee 2, 3 and 4 million "conveyors" fell. Five-millionth truck "Volkswagen" in the spring of 1980 became "Transporter TZ". At preservation of the former concept it has received new more capacious body and a forward facing with four headlights, and also diesel engines (1588 and 1715 sm3, 50-57 hp). Since 1985, the full-scale version of Syncro has gone into mass production. In August 1990, the manufacture of a fundamentally new front drive "Transporter" of the fourth generation "T4" with a total weight of up to 2.8 tons began. It was distinguished by a semi-hood arrangement, a front transverse arrangement of the power unit and a bearing body. Since 1996, on the basis of the minibus Caravelle, a comfortable cargo-and-passenger variant Multivan was offered. The "T4" series uses 4 or 5 cylinder gasoline or diesel engines with a power of 68-150 hp, mechanical or automatic transmissions, disc brakes with ABS. Full-drive variants of "Sincro" are equipped with a viscous coupling and an electronic interlock between wheel differentials. Since 1975, Hanover has started the production of a "large truck" series "LT" with a carrying capacity of 1.2-2.6 tons with a cab above the engine. The models of 1976-79 with the designations LT28, LT31, LT35, LT40 and LT45 were equipped with petrol or diesel engines Volkswagen, as well as a 65-horsepower Perkins diesel engine. In 1983, the "LT28D" model was used for the first time with a 2.4-liter diesel engine with a turbo-supercharging capacity of 105 hp. Since 1983, a modernized family "LT35 / LT50" was proposed, to which, in 4 years, a 3-ton model " LT55 "with a gross weight of 5.6 tons. In the early 90's the whole family received a new front facing and replenished with new models. Since 1996, in cooperation with the company Mercedes-Benz produced the second generation of "LT II", differing from the Sprinter family only by bundling and some details. New machines are offered in versions from "LT28" to "LT46" with a total weight of 2.8-4.6 tons with a body capacity of 7-13.4 cubic meters. They use diesels Volkswagen with direct injection capacity of 75-125 hp, including a variant with a turbo, as well as a 16-valve 143-hp petrol engine Mercedes-Benz, and a 5-speed gearbox. Since the 50's. the range of light trucks "Volkswagen" was supplemented with vans on passenger chassis. The range offered in Brazil uses diesel engines "MWM" or Cummins, Clark or Eaton gearboxes, leading Rockwell bridges, ZF power steering gears, modified cabs from the MAN-Volkswagen and LT series. The range consists of numerous models - from Saveiro pick-up trucks and light trucks "7.100" to heavy vehicles "24.250" (6 × 4) and 290-strong main tractors "35.300" (4 × 2) for operation as a part of road trains with gross weight up to 35 tons . For exports to Western Europe since 1995 under the symbol "L80" was offered the Brazilian car "8.140", which corresponded to European standards. 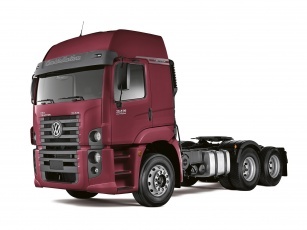 At various times, Volkswagen trucks were licensed in Austria, Argentina, Mexico, Uruguay and South Africa.